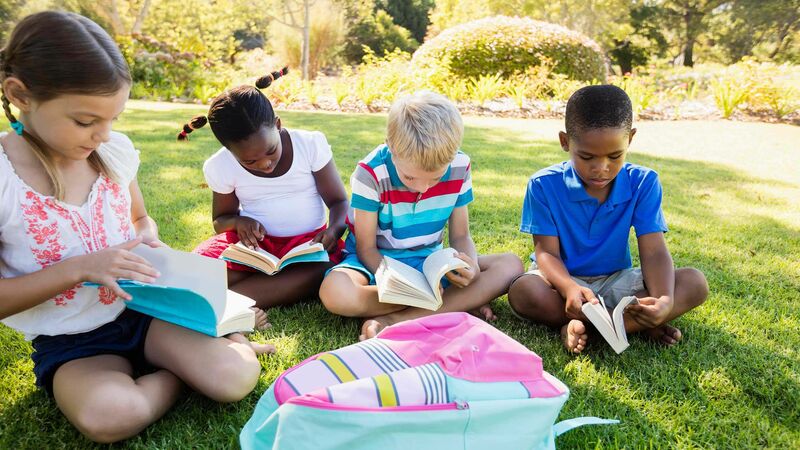 Eight ways to get your kids excited about learning over the summer. With the kids out of the school day routine, how can parents ensure that the first month back to school in the Fall isn't a total bust? The summer is a great time to encourage learning and exploration without hitting kids over the head with ridiculous amounts of "paperwork".​ From my experience, workbooks and worksheets have their place and are a great resource when paired with hands on experiential learning and creative, crafty activities. But relying heavily on worksheets and workbooks for the entirety of summer break may not be the best strategy for igniting an inquisitive mind. Family Field Trips: When was the last time your family explored your city, or the nearby town? Plan a trip... I'm not talking about a family vacation to Disney, I'm talking about visiting the museum, going on a tour of your town, or hanging out at a National Park. There are a lot of free and low cost opportunities out there. Challenge- Try to get two weekends a month of exploring done this summer as a family. Hands-on Learning: Maker Education and Project Based Learning are all the rage right now. It's really important to get kids planning, building, critiquing, and reflecting on a creative project. These types of learning practices encourage critical thinking, creativity, coordination, and personal agency, to name a few pluses (there's so many more). Challenge- Build with LEGO, build a birdhouse, visit the hobby shop, design houses in Minecraft, or knit, sew, crochet something to be worn in the fall. Outdoor Exploration: Get dirty, get sweaty, get soaked, get outdoors! We all benefit from being connected with nature. Warm weather and longer days are perfect excuses to stay outside (make sure you hydrate properly). Challenge- Visit a farm or vineyard, go on a family hike, make mud pies, get to the beach, go to the zoo or the park, or just hangout at the pool! Mini Entrepreneurship: You're never too young to start a business, or at least plan one. Summer is the perfect time for kids to think about what they're good at and how they could potentially market that skill, good, or talent. Challenge- Host a lemonade stand, work on a cool craft and have a neighborhood swap/flea market, have your kid write down all the things they're good at and then think about what business they could start with those talents. Self Expression: I truly believe that everyone is an artist. No, we all aren't van Gogh or Kahlo, but we all have the capacity to express ourselves through music, dance, painting, sculpting, web design, etc. As a society we get really hung up on the end product when it's the experience itself that makes self expression so worthwhile. Challenge- Have a family karaoke night, put on a family or neighborhood performance or fashion show, play dancing video games, bring out the tempera paints and modeling clay, give your child a sketchbook and encourage them to draw/doodle each day. Volunteering: Brighten someone's day or help improve the community with volunteer opportunities. You don't have to visit the soup kitchen or join a massive cause to make a huge impact, often it's the smallest efforts that go the furthest. Challenge- Sign the family up for neighborhood clean up programs, visit an elderly neighbor, hand out water to the homeless on hot days, or encourage teens to read to kids at the library. If you get a couple of these activities accomplished this summer, your kid will have learned some valuable lessons about themselves without even knowing they learned something! Remember safety first, but any activity can be modified to meet the age and maturity level of your child. We wish you all the fun this summer! Share your adventures or even your suggestions for adventures in the comments!